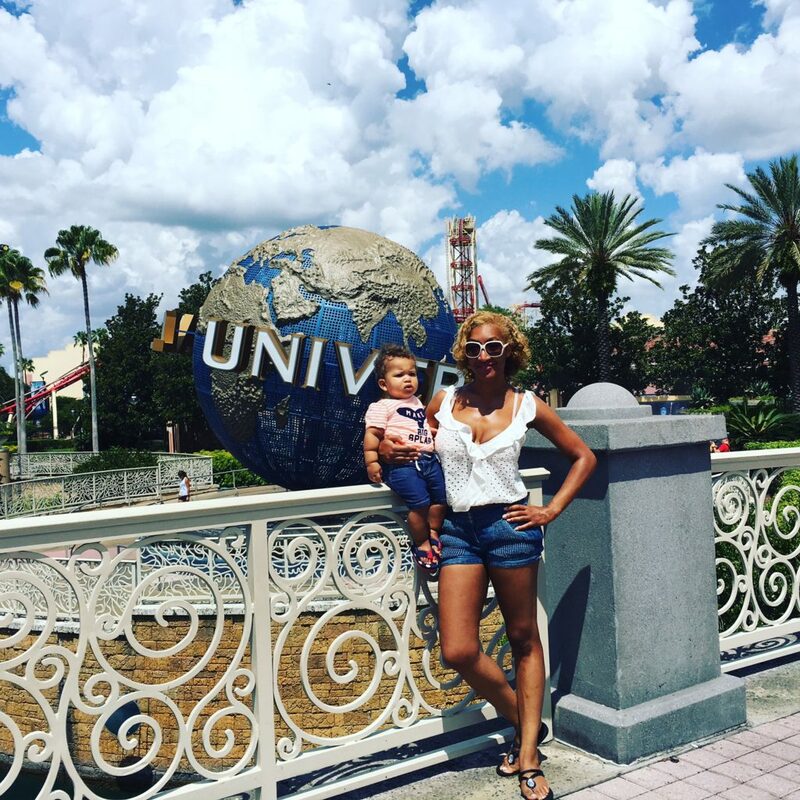 With entertainment, rides, and a chance to step into the movies all around, Universal Studios offers a rare opportunity to entertain kids and adults alike of all different ages. 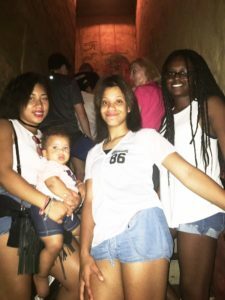 Over the summer I took on the challenge of taking three teenage girls and an infant all to a theme park with the hopes of all having a great time or at least making it through the day with more smiles than tears. 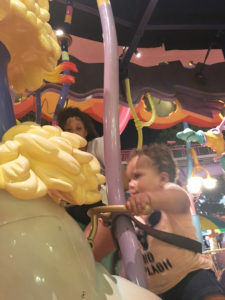 In making a decision to go with Universal Studios my first concern was traveling with a one year old. 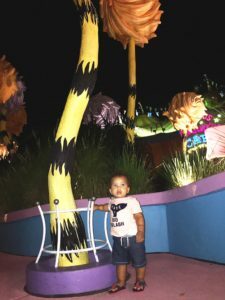 With a lot of theme parks having rides that are not inclusive of small children I did not want to end up with nothing for my son to do except join in all the waiting that is usually involved in visiting theme parks. 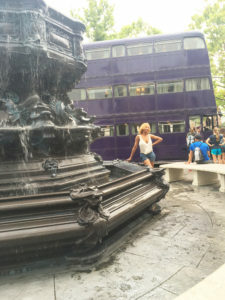 With so many movie themed attractions and not just rides I knew that being able to sit through a 3D movie short would break up some of the line waiting and give the teenagers a chance to knock off things they wanted to do on their visit list. All in and all I was crossing my fingers for the best of both worlds. 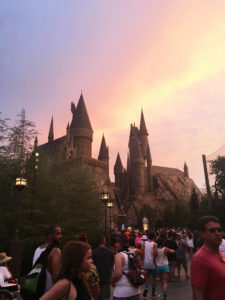 Universal Studios held up to my expectations perfectly. With line waits ranging from 45 minutes and more we started the day off with the teenagers doing the waiting and giving me and my young son a chance to hop into a movie attraction and get a break from the sun. I quickly learned my first lesson with Universal, the quick pass pays for itself. If you are only visiting for a couple of days spending hours of your day online prevents you from getting a lot of bang for your buck. Being careful of the types of passes you buy (for instance for one park or all three) can help you minimize cost and get the most of the extras you are spending. With passes in hand now we were ready to keep the party going and I became on a mission to bang the heck out of my buck. Many of the rides at Universal have a similar 3D feel, with some adding more action with rollercoasters or more moving parts. There are some that are definitely better than others, but they usually correspond to the movies that inspired them and also inspire you as a rider. 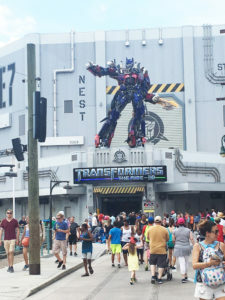 We loved the Transformers ride with the action and movement and also the ties and references to a movie series and cartoon that we love. The 3D experience can be stationary or action packed depending on the ride, with the opportunity to opt out of the action for some rides if you are working with young travelers. 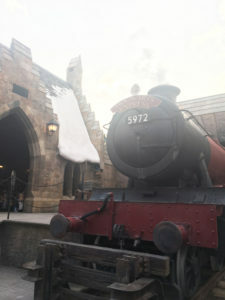 With me busy trying to stuff in as many rides as we could I am happy that Universal had some buffers that made the park about more than just rides. 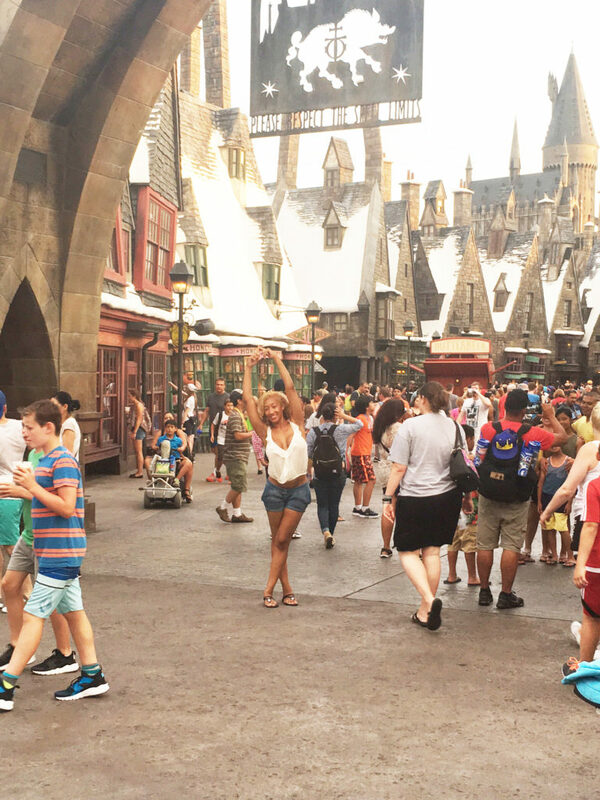 As you walk through the movie set themed sections you are transported to your favorite movies and TV shows. 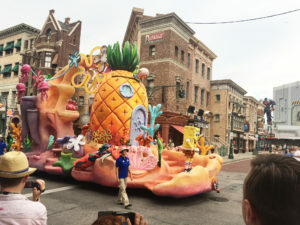 Sponge Bob happy pops through the street in the character parade and you are whisked to Hogwarts as you journey to the Harry Potter themed sections. Between action heroes, Dr. Seuss and even Indiana Jones you are surrounded by action and as a bonus you have a chance to pop in on the fun. After 8 hours, several rides, lots of my money, we ended the night on a high at the Universal City Walk with some great food and memories that are sure to laugh a life time.